The days are getting shorter and so is my time on the Island. Yet, I’m attempting to visit as many places as I can while the weather is permitting, my schedule is open, and my finances are available. My fellow Road Warrior, Ashanti, and I traveled to Canterbury for an overnight trip. 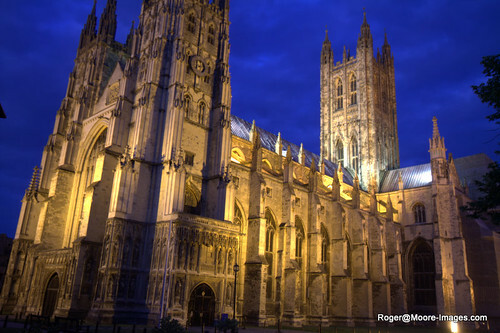 We photographed the local area which includes the famous Canterbury Cathedral. We wanted to visit the Red Sands Sea Forts. Unfortunately, two charter services called and canceled our trip two days before our arrival. 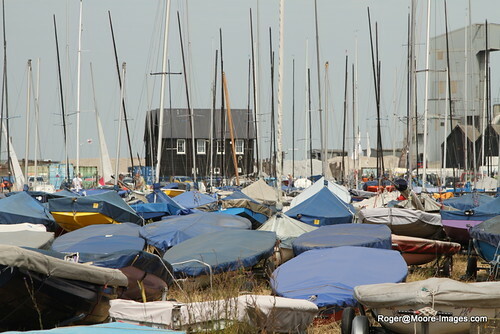 Instead, we travel to Whitstable and photographed the local area. The next day included a “Full Day” tour with a local company that arrived at our hotel and took us to several places. We visited Leeds Castle then we traveled to Dover. We visited the Battle of Britain Memorial. 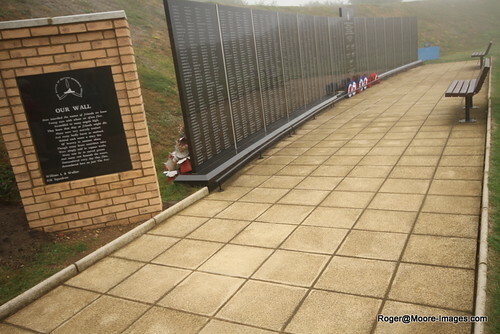 The memorial is similar to our Vietnam Memorial with a wall commemorating those who gave their life in WWII. The next stop on our tour was a boat ride explaining the history of Dover and a display of the famous White Cliffs of Dover. Unfortunately, the weather was extremely foggy. Therefore, we could not clearly see the distant cliffs. Yet, their immense size was something to behold. The boat remained within a protective barrier that keeps the choppy waves of the English Channel from crashing the port. 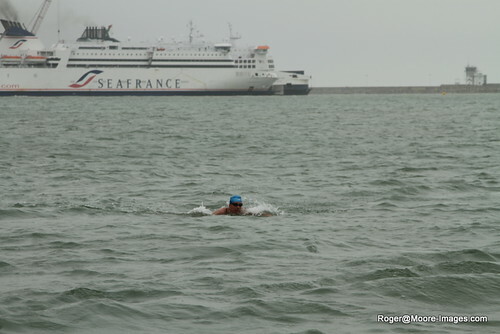 However, that didn’t stop the various swimmers practicing for their attempt to swim the channel. People spend at least six hours in the water to train for the 21 mile swim from England to France. Dover is England’s closest point to the European mainland. This makes Dover a popular port with plenty of traffic coming to and leaving from England. The Chunnel (English Channel Tunnel) leaves from this point and allows you to arrive in France in approximately 30 minutes. Within Dover, we visited other sites providing historical accounts of Britain’s battles. 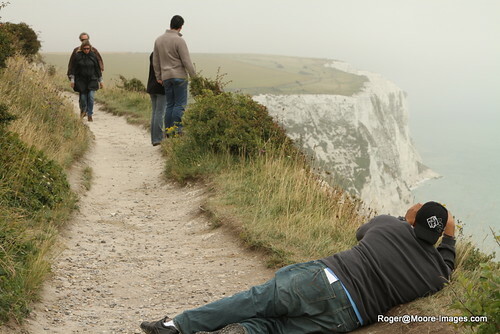 The next and most challenging stop was a walk along the top of the Dover Cliffs. The cliffs are very famous and EPMD mentions them in their ’92 hit “Crossover”. I have issues with heights. So, it was an experience knowing the cliff’s edge, a few feet away, separated me from the cliff’s bottom a few hundred feet down. That didn’t stop Ashanti from getting that unique perspective near the edge. 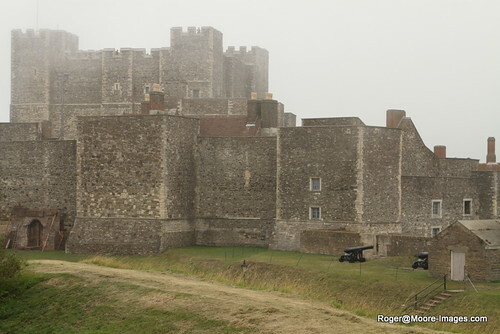 The last tour stop was a trip to Dover Castle. This is an impressive fortress sitting atop the Dover Cliffs. The elevation and proximity to the shore made any approach easily spotted. As you view the images in Flickr, you’ll see a feature on the right side indicating where I took the image. I purchased a GPS logger that records my location every five seconds. This device is great because it allows you to merge the location data into your photo. When you upload the image or view it in Picasa, it shows where you were at the time. It also creates a route showing your traveled route. As I prepare for my next trips, this will be a great new feature. Lastly, I prayed for a sunny day during our visit. Normally, my weather requests are honored. However, you can see the fog present throughout our day. I left disappointed that the sunny images I wanted didn’t happen. As we left our last tour stop, the sun broke through the clouds, burned the fog away, and a sunny day arrived. That’s when I realized I prayed for a sunny day. However, I didn’t say when I wanted it to arrive. Be specific in your prayer requests and keep shooting! Once again you have produced a very nice product! I applaud your adventure and your willingness to take your craft to new heights. GOD Bless and I hope to speak with you soon. whoooaaa!!! awesome!! Its quite amazing and interesting content.You are simply great and brave.This post is really an awe-inspiring.Keep update it!